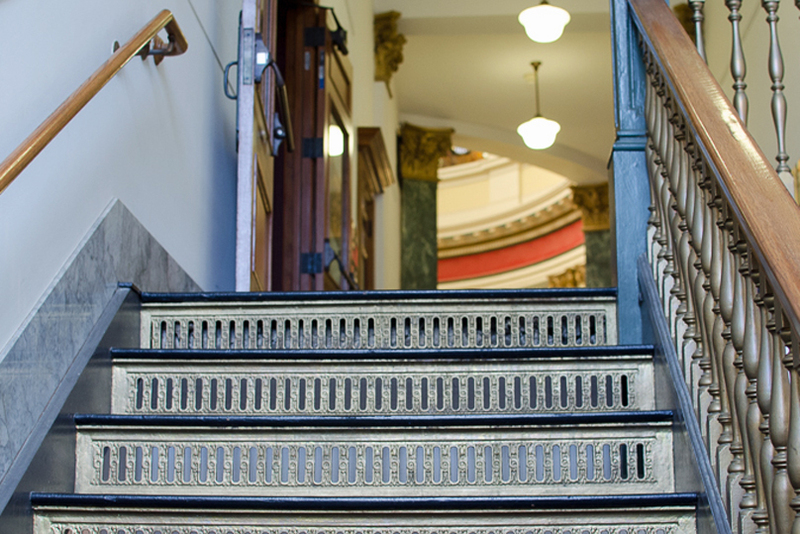 If on July 20, 1931 we had climbed these stairs, we could have joined the crowd in the courtroom of Judge George Buck where inheritance cases were heard. On that date Constance May Flood Gavin appeared in Buck’s chamber to claim a daughter’s portion of the estate of her biological father James L. Flood, the rich son of Silver King James C. Flood. The money involved was immense, $4 million and the law and basic facts were not in dispute. Constance was born of an affair between Flood and a San Francisco actress, and acknowledged illegitimate children inherit in California law. The baby was acknowledged by Flood, and she was brought to live in the Flood mansion where Flood’s wife Rose cared for her. Six years later, however, Rose died and then Flood remarried. Maud, the second wife, wanted nothing to do with the young illegitimate child, and so Constance was sent away to a convent school. When Flood died, Maud claimed that Constance was an imposter; not really Flood’s daughter. And so, Constance was excluded from any inheritance. Constance found a lawyer and sued for her rightful inheritance, and that led to the celebrated inheritance trial in Redwood City. Judge Buck, a friend of the Floods, listened to the facts and then ignored them. He directed the jury to find a verdict against Constance and in favor of the Floods. But the jury rebelled. Ten members refused to sign the verdict, but the Judge overruled them. The people of San Mateo county were outraged. In the next election they voted Buck out of office and elected Constance’s lawyer as judge. Her suit was then settled out-of-court and Constance was awarded $1.2 million. 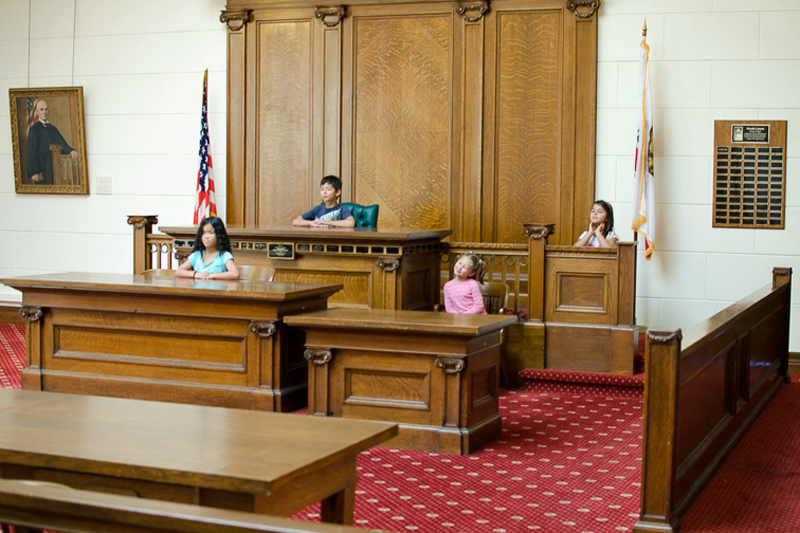 You can visit this historical courtroom at the San Mateo County History Museum in Redwood City, CA. This entry was posted in Travel Blog, Wordpress and tagged blogging101, California, photo101, Photography by carto. Bookmark the permalink.